As I mentioned a little while back the Internet's newest viral sensation is Mark "Coonrippy" Brown and his giant pet Raccoon "Gunshow". For a glorious 1 minute and 25 seconds Mark and Gunshow dance to Aretha Franklin's chain of fools. Until Gunshow gets sick of it and straight up attacks Mark. Mark's youtube channel can be found HERE. Its a quaint little channel. Mark has posted many videos of him playing with his raccoon. A recurring theme is that Gunshow loves biting Mark, who can be seen dripping blood in some clips. Mark finally comes to the revelation that the one thing that can keep Gunshow from biting him is Hannah Montana Body Spray. The Hannah Montana products quickly become a running gag in his videos. Not all Mark's videos feature Racoons as he posts various silly little sketches. Alot of the sketches involve Mark blowing up random things with dynamite. 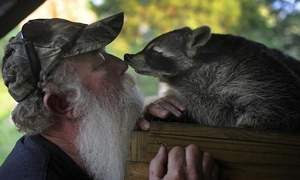 By the time that Marks videos went viral Gunshow had passed away, but Mark and his girlfriend had already taken in a baby raccoon named Rebekah. Things were looking good for Mark and his fury friend, they were even scheduled to shoot a pilot for a reality show. Then fame showed its wicked head. Tennessee authorities came in and took Rebekah from Mark and his girlfriend, siting that he did not have a permit to keep wild animals. This was almost certainly in reaction to his new found internet fame. Mark has posted this video pleading for the authorities to return Rebekah home. 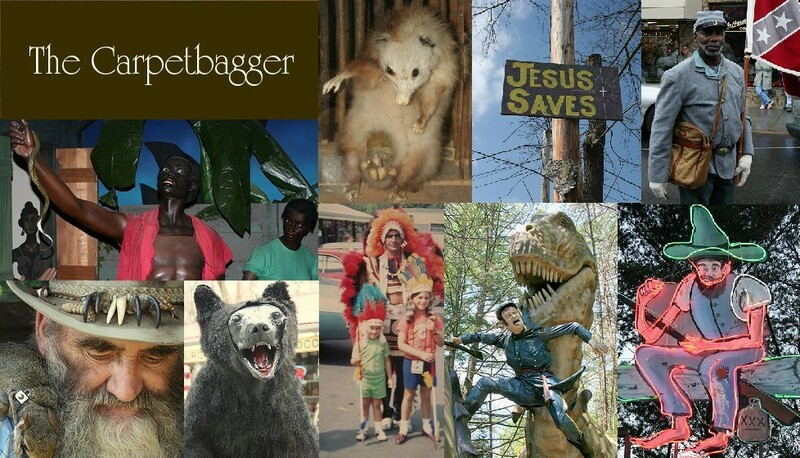 I would like to let Mark know that The Carpetbagger fully supports him. I know that it may seem like poor consultation prize, but I would like to take this opportunity to induct Mark into the Hillbilly Hall of Fame.